When your workouts entail constant switching of weights, it’s important that you have a weight or dumbbell rack/stand. A dumbbell rack or stand makes weight lifting easier, safer, and more convenient. Dumbbells stands are flexible; they let you easily transition from light to heavier loads on your dumbbell. A dumbbell stand helps you avoid bending down to put your dumbbells into their holders that may cause back pain and other likely injuries. Bowflex SelectTech, the company renowned for its durable, high-quality, and adjustable dumbbells, offers a new Bowflex dumbbell stand that is ergonomic in design. The stand easily lets you access your dumbbells, and convenient enough that will fit any space in your room or home. The Bowflex SelectTech dumbbell stand is designed ergonomically (a design that provides maximum comfort and easy lifting to the user) for only Bowflex SelectTech dumbbells: the 552 and 1090. This dumbbell stand gets rid of the need for bending down to grab your weights. It has a built-in towel rack – a bonus feature where body builders and weight lifters can find useful. Bowflex evidently aims to create a new stand that is ergonomically designed so that you can easily access your dumbbells. 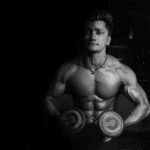 Did you know that muscle energy is wasted, and you tire out quickly whenever you put your dumbbells down, then pick them up again between workouts? That’s what the company seeks to solve by developing a steel built dumbbell stand. As you advance to heavier weights, bending down to get them and putting them back on the ground in between exercises can result in possible back pain. Specially engineered to be used with the Bowflex SelectTech dumbbells, the Bowflex dumbbell stand will solve your weight lifting woes. The stand is composed of solid steel material that can easily hold the weight of the dumbbells positioned on it. It’s developed for easy lifting; it’s durable and sturdy that makes it safe and flexible to use. The product dimensions make it particularly convenient to place the stand anywhere in a home or space in any size. The built-in towel holder makes a pleasant bonus for most people since they will likely find it reasonably handy. The stand makes for an easy, quick assembly, so you don’t need a professional to install the pieces together. 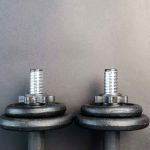 The nuts and bolts included are sturdy and thick so you can cast away your concerns of your dumbbells toppling or falling over. Plus, it has rubbery foot stands that secure it in place. So, do the Bowflex dumbbell stand help people during their weight exercises? Yes. Not only it removes the compulsion to crouch down to the ground to pick up dumbbells, but it also prevents any potential back and muscle injuries. According to some Amazon customer testimonials, the Bowflex stand does what it’s supposed to do and does it well. With the growing popularity of the 552 and 1090 SelectTech dumbbells and other Bowflex workout kits, more weight-lifting enthusiasts are acquiring this dumbbell stand to get the most of their workout regimen. Furthermore, most users assert that the benefit of this stand is its ideal height, a feature that enables easy access to switching and putting the dumbbells back in their places. No longer do you need to reach down to the floor, lift your dumbbells up only to set them back down again later with the Bowflex dumbbell stand. This is a great convenience, not only to your muscles but reduces the load on your back as well. Besides, you’re lifting weights to be healthy and fit, not add pain and injury to your body. Also, the stand enables the dumbbells to prolong their life and quality in the long run by smoothly putting them on the stand instead of dropping them to the ground. Additionally, you can’t go wrong with the 10-year warranty and guarantee that allows a full refund for six weeks if you aren’t satisfied with it.